On March 18th Tom Doyle led a group from the Dallas Bible Church headed by Pastor Hal Habecker to the City of Ariel. They began their journey to Israel where Biblical prophecy meets modern reality: the City of Ariel. 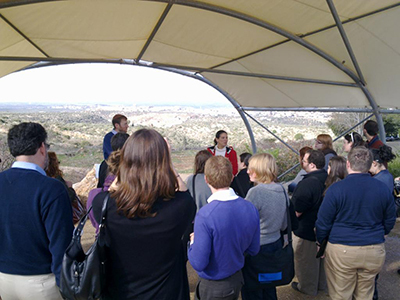 On Sunday, January 9th, a group of master’s students from Brandeis University came to visit the city of Ariel. The city of Ariel was pleased to host the annual delegation from the JH Ranch of northern California on New Year’s weekend. This visit, as with those in the past, was an exceptional opportunity for our friends who are affiliated with the JH Ranch to understand a bit more about Israel, and a lot more about Ariel. 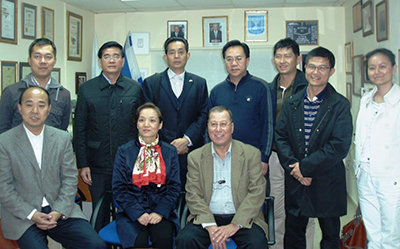 On Sunday, December 19th a delegation of mayors, provincial diplomats and foreign ministry representatives from China came to Ariel to visit with Mayor Ron Nachman. After meeting Mayor Nachman in China several months ago, a group of Chinese diplomats wanted to see the City of Ariel firsthand. The Johnsons made the trip to Israel so that they could visit with Mayor Ron Nachman. They were told of Mayor Nachman’s vision and success in establishing and developing the city of Ariel, and they wanted to see what the living legend was all about. It was an absolute pleasure to host the Republican Jewish Coalition and American Friends of Likud in Ariel on November 14th. Ariel was blessed with a new group of visitors this month. Tom Doyle and Jason Elam brought a busload of Christian friends from across the USA for a day. 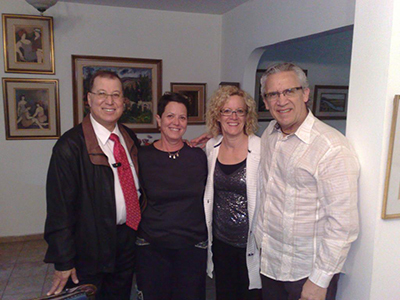 Pastor Leo Giovenetti led his community, which includes members from across the USA who hear his radio broadcasts, to Ariel for a day’s visit. The group enjoyed a wonderful visit throughout the city, where they met the many faces of Ariel’s diverse community. 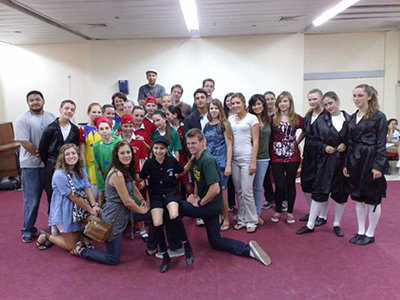 The City of Ariel was blessed with a very special group of young visitors at the end of June. Faith Bible Chapel, from Arvada Colorado, sent a group of their teens and young adult students to Ariel for a couple of days. The City of Ariel was blessed with a very special visit from our young friends in San Diego. Danny Ramos led a group of teenagers from the Maranatha Chapel in San Diego to Israel. Pastor Mary Jo Pierce led a group from Gateway Church to visit Ariel on May 12, 2010. American Friends of Ariel Director, Avi Zimmerman, prepared the visit along with Pastor Mary Jo during a recent trip to Texas. A very special group from Faith Bible Chapel in Arvada, Colorado visited Ariel the day after the Holiday of Purim. Led by Pastor George and Cheryl Morrison, Ariel’s close friends again blessed Ariel with a very generous contribution to be used for several important new initiatives.